After completing this form you will receive a competitive offer, without any obligations, for your tour. We strive to contact you as soon as possible. We hope that, in good consultation, we can come to a wonderful trip! For special safari tours and beach holidays in Tanzania, choose Hofland Expeditions. We are travel experts for Tanzania and have developed various tours that we can adapt flexibly to your personal wishes and budget, both for private safaris and group safaris. 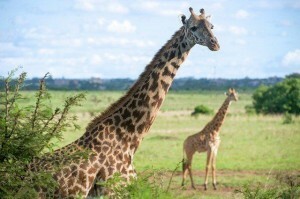 the hustle and bustle in our hurried life, to a safari Africa holiday in Tanzania and a safari to end Tanzania with a relaxing beach holiday on the exotic island of Zanzibar? With the two of you, a group of acquaintances or with the whole family and children? Of course you want as much safari as possible for your money. Discover East Africa together with us. We have years of experience in arranging tours and excursions in Tanzania and we will do everything to give you an unforgettable holiday.